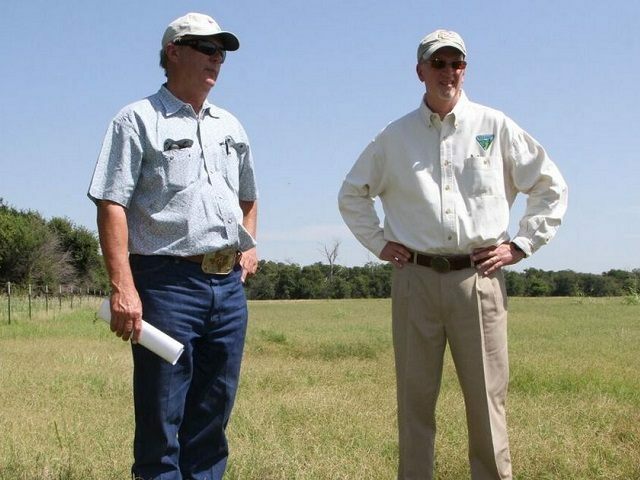 A Texas farmer finally received land back that was taken from him by a court and given to the U.S. Bureau of Land Management (BLM) more than thirty years ago. The victory puts land back into his undisputed possession and control that has been in his family since 1904. It also brings hope and a pathway to victory for other farmers who stand to lose up to 90,000 acres of land to the BLM. 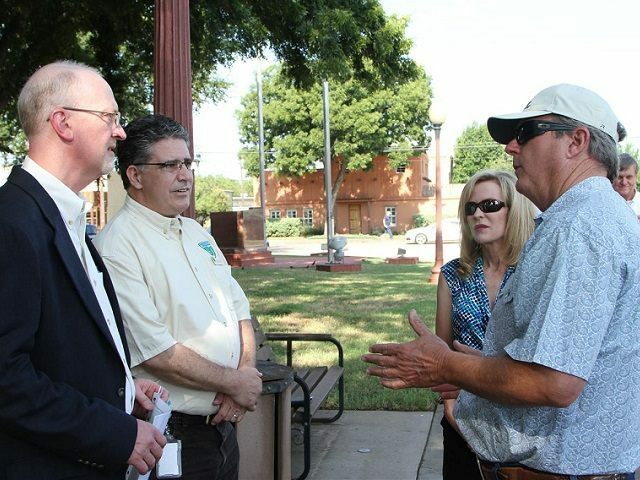 Tommy Henderson met with BLM officials on the steps of the Clay County Courthouse in Henrietta, Texas, where he was presented a patent from the U.S. government bestowing rights to ownership and use of the property, according to an article by Lynn Walker in the Wichita Falls Times Record News. Henderson told the Times Record he hopes this will pave the way for dozens of other Red River land owners in Texas who are battling to keep their land from being taken by the BLM. In a federal court decision in 1984, a judge stripped Henderson of ownership of a portion of his land located along the Red River in Texas. The Red River is Texas’ northern border with Oklahoma. Some of that land was given to the BLM and a small section was awarded to an Oklahoma man who brought the lawsuit. The Oklahoma rancher was attempting to claim land because of boundary changes due to erosion and evulsion. The signing of the patent between the federal government and Mr. Henderson, along with his statutorily required payment of $1.25 per acre, finalized the work that had been done since then and returned full control of the surface of the land to Henderson. Henderson explained that under current law, the land had to be checked for endangered species and other environmental issues. “That added several more months to the process,” he said. Other bureaucratic processes continued to pop up along the way. “Three decades to correct that mistake is ridiculous,” Thornberry wrote in his statement. Thornberry responded to an inquiry from Breitbart Texas and pledged to keep fighting the battle for the others involved. 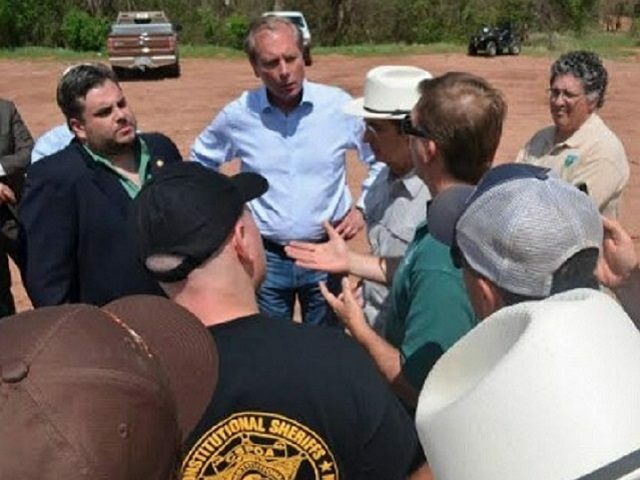 “I am continuing to pursue legislation that I introduced with Senator John Cornyn to protect private property rights and clear up the uncertainty that many landowners along the Red River currently face,” the north Texas congressman wrote. Breitbart Texas previously reported that about 90,000 acres of land is currently in dispute with the BLM. Even Camp Perkins, a youth camp owned by the Northwest Texas Council of the Boy Scouts of America, was in danger of being swept away by the BLM. Henderson told this writer that his victory is one of the steps that should help Thornberry with getting legislation passed to help the other land owners. Henderson thanked all of the elected officials he had spoken with on this issue. He said he met recently with the new General Land Office commissioner, George P. Bush, in his office in Austin. He said Bush was very receptive and offered his assistance. Henderson told Commissioner Bush he appreciated the offer, but believed the process was moving in the right direction at that time. Henderson also singled out former Lt. Governor David Dewhurst for what Henderson called his dedicated involvement over the past decade in trying to find a resolution to this issue. Henderson thanked the Texas Farm Bureau who stood shoulder to shoulder with him in this battle. He said their assistance was instrumental in the success of this effort. Henderson explained he never felt his battle was with the local BLM staff and management. Rather, he said, the obstacles always came from Washington, DC.